My father, Charles Leroy HEISER (1913-2001) was in two CCC camps. 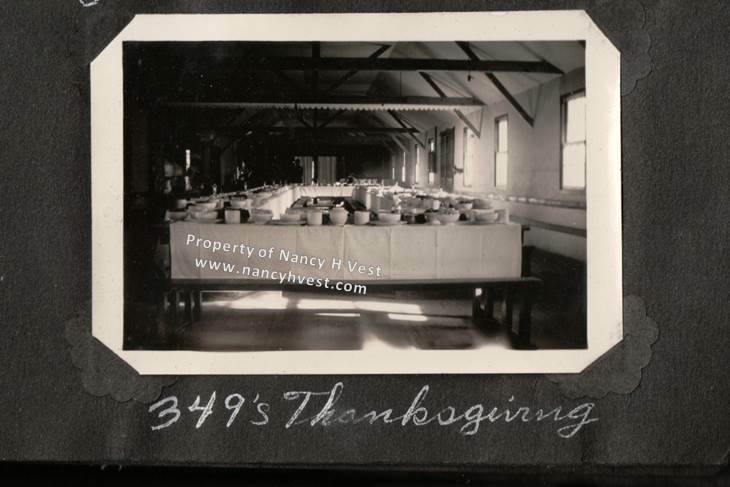 One of them was Company 349 at Camp Lonesome Pine in Big Stone Gap, Virginia. At this camp, my father was a truck driver. 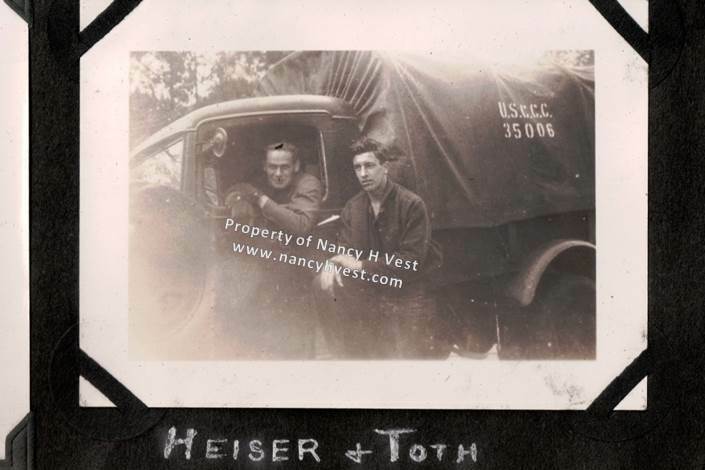 My dad, Charlie Heiser (in the truck) with one of his camp mates. My dad was about 25 years old in this photo. 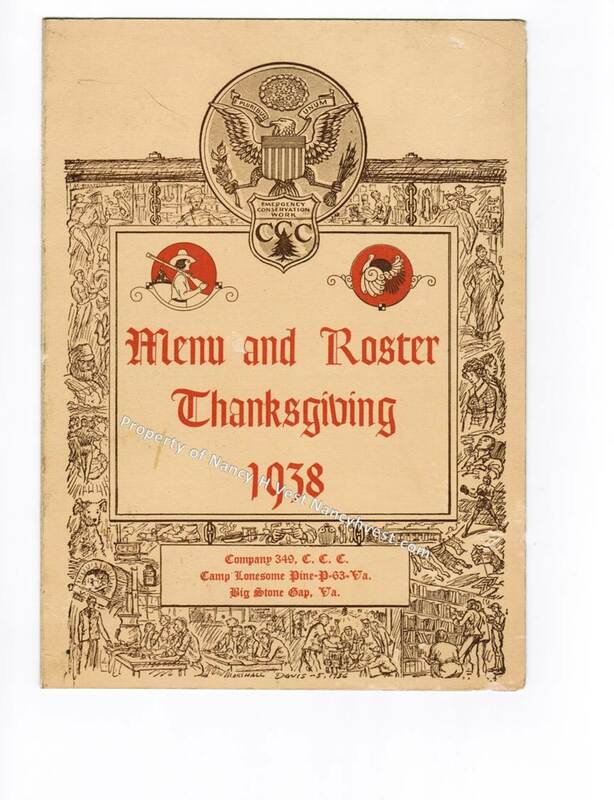 Dad saved the 1938 Thanksgiving Menu and Roster. 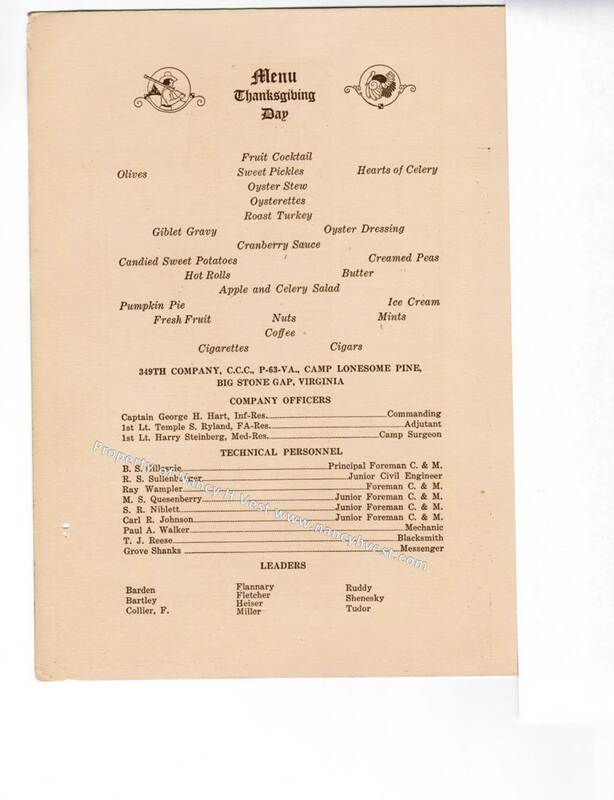 You can see it below along with a few photos of the mess hall. I was shocked at the fancy meal they had. I imagine it was the first time many of them had eaten oysters. 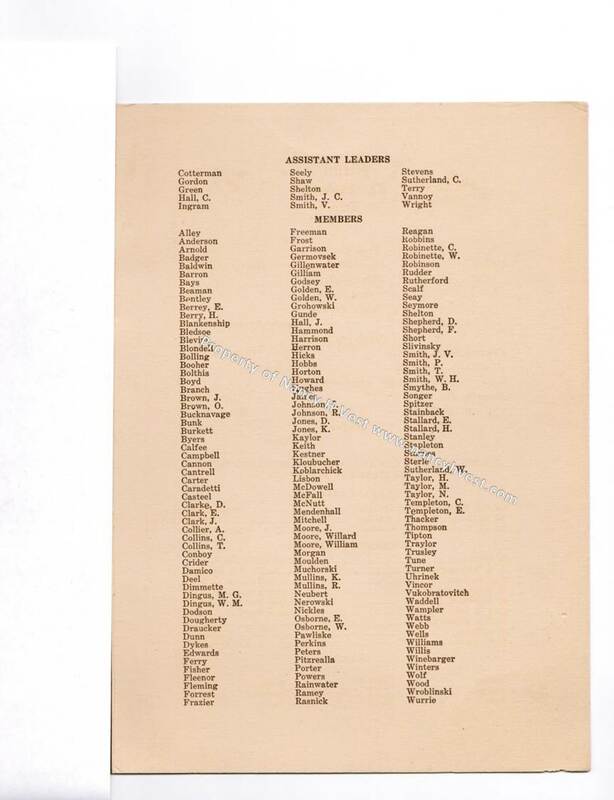 The roster also names the members of the camp. Pay attention to the border around the edge of the cover. It’s hand drawn scenes by an man named Marshall Davis. 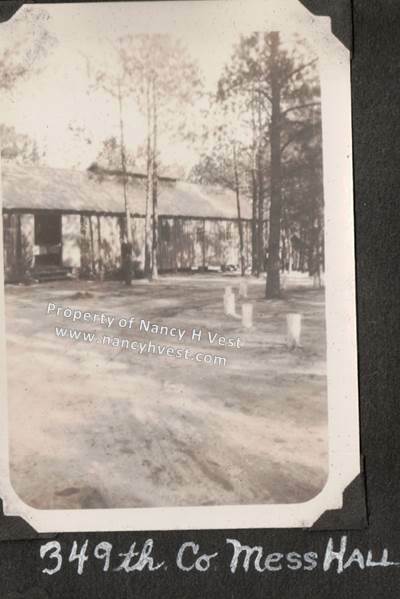 Believe it or not, Nancy… I was actually in Big Stone Gap for several days back in the late 1950’s doing an audit of a coal mine located there when I worked for Price Waterhouse and Co. It wasn’t much of a place back then. And, it has also become the setting of a novel I have recently completed and hope to sell. Small world! What is your novel about?